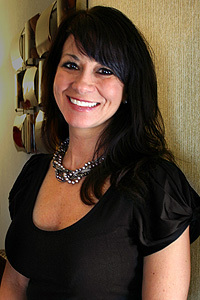 Michele received her education in massage therapy at the Onondaga School of Therapeutic Massage, and has a been a therapist since October of 2005. She’s a Reiki Level II Practitioner, and she also offers Body Wraps & Scrubs, Lomi Lomi and Ear Candling. I am also a Spiritual Life Coach, working one on one or in small groups to help guide you to a place of love and peace from within. Is there any type of a massage that you offer to men with ED problem?